Runyon Canyon Park is just a half-mile from the beginning of the Walk of Stars. Within a mile radius of the park’s front gate at 2000 N. Fuller Ave stands the Hollywood and Highland shopping complex, historic theaters like Grauman’s Chinese and the El Capitan, and the Hollywood Roosevelt Hotel. But get midway up one of Runyon’s three major trails, and it can feel like the urban jungle is far, far away. Set in the western Hollywood Hills, Runyon Canyon Park is easily taken for granted by locals who have traversed its trails for years. It’s not the hiking challenge of some of the trails in the Santa Monica Mountains, but for the city-bound outdoor enthusiast, the fitness buff and, yes, the celebrity spotter, the Park is an institution. There are three options for walkers and hikers. 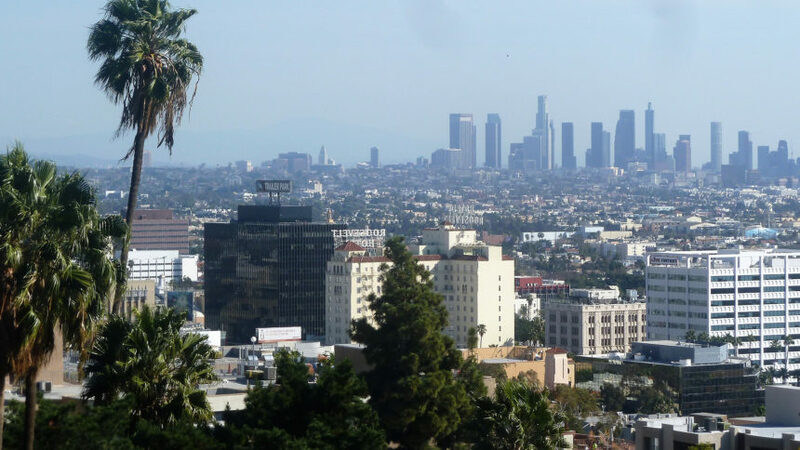 Runyon Canyon Road is the easiest, a paved trail that leads up the middle of the park and attracts families with children and those looking for an easier stroll. The eastern loop, the Star Trail, features railroad-tie steps, a steeper slope, and great views of the expanse of Hollywood below. And the Hero Trail runs along the west side of the park, through a less-tamed terrain with possible wildlife sightings. Runyon Canyon is more than a hiking trail, however. Its concrete central path allows cyclists to enjoy the scenery. It is officially a dog park as well, with huge off-leash areas that attract pooch owners. 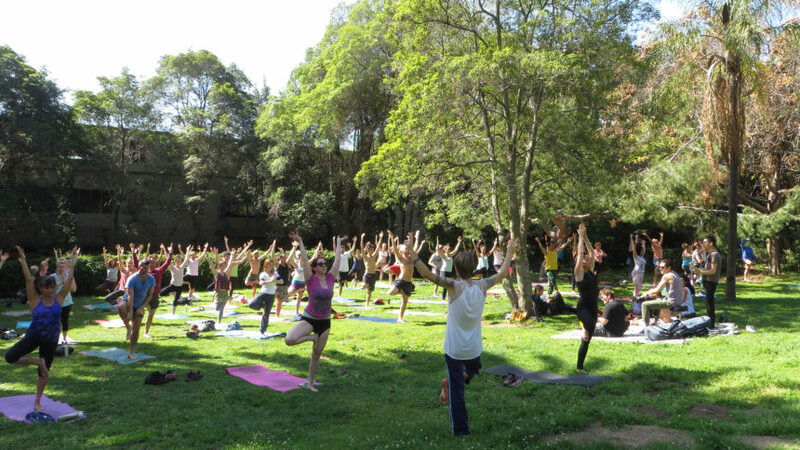 And at the base of the path, an open space has hosted yoga classes since 2001, taught daily and on a donation-only basis. That’s not to dismiss people watching entirely, of course. Runyon Canyon Park is a regular on lists of top places to spot celebrities, and there’s good reason: Its location in the Hollywood Hills makes it convenient for the likes of Ryan Gosling and the Kardashian clan. Any worthwhile list of “haunts of the stars” includes the trails of Runyon. But while you can’t plan to spot a certain celebrity at Runyon, you can plan for a sweat. For those on their first visit to one of young L.A.’s favorite meeting spots, Hestler says take time to explore. *Featured photo courtesy of Mark Mitchell.